It seems that there are no number of positive interactions we can have with happy, loyal, clients that cannot be undone by one intensely negative experience. There is no way around it, a customer gone rogue will ruin your day. However, there are strategies to use on specific types of bad customer behavior that will allow you to reduce the stresses associated with even the most troublesome interactions. Fundera has assembled 11 archetypes of some of the most fearsome or worrisome characters you may come across in business. Below they offer ideas on how best to approach each type including the knit picky, the indecisive, and the just plain aggressive. Don’t take it personally: usually a customer is working on their own issues. You don’t know where they are coming from. Be calm: difficult though it may be, it never hurts to be polite, precise and professional. Listen: Usually a perturbed customer just wants to be heard. Often they feel they are being treated unfairly. By listening and demonstrating your understanding, they often are quelled. Keep creative solutions in your back pocket: There are always ways to help customers come around. Offering discounts or improvements to service. 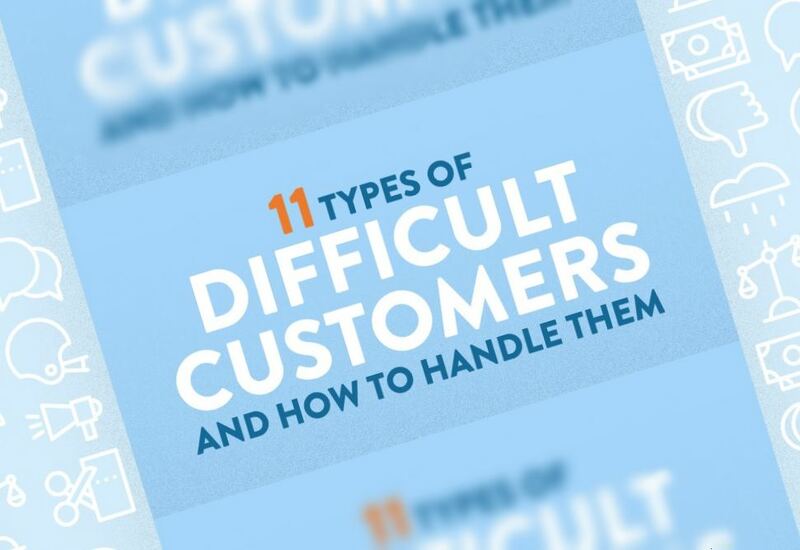 Keep a couple of strategies prepared, just in case you face a difficult customer. Unfortunately the types of customers we deal with regularly are often not under our control. After all, there is money to be made and not all clients will be stress free to work with. While under some circumstances it is possible to make the case that some customers are more trouble than they are worth, if you stopped fielding calls from those like the ones below -- with their annoying quirks -- you might find yourself without many clients at all.